Physical Security and ETD Course was held for the first time in Dubai, UAE. Dubai, UAE. 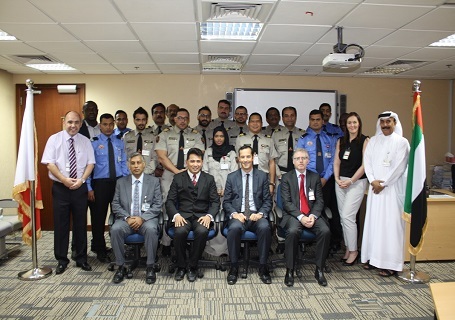 11-15 Jan 2015: In collaboration with the British Embassy and the Centre of Aviation and Security Studies (CASS) – educational wing of the Emirates Group Security, a 5-day Physical Security and ETD Course was held for the first time in Dubai, United Arab Emirates on 11th to 15th January 2015. Participants from different departments in Emirates Group Security and Dubai Police attended the session. The course served as a prelude for similar initiative to be undertaken in the near future. This comes very timely given the prevailing security landscape that is facing the region and the civil aviation industry. The Ceremonial graduation held at the Emirates Group Security Headquarters. The occasion was graced by HE Mr. Ed Hobart, Consul General of the United Kingdom to Dubai.